Below you fill find all funeral homes and cemeteries in or near Holly Hill. Holly Hill is also known as: Volusia County / Holly Hill city. Zip codes in the city: 32117, 32125. Volusia County funeral flowers can be purchased from one of the local funeral shops we partner with. Some of the notable people born here have been: (larry flynn). It was noted by Sarasota Herald-Tribune on August 14th, 2018 that Lydia Alma Vidovic died in Holly Hill, Florida. Vidovic was 88 years old. Send flowers to share your condolences and honor Lydia Alma's life. It was revealed on May 26th, 2018 that Rose T Smith passed on in Holly Hill, Florida. Smith was 82 years old and was born in Brooklyn, NY. Send flowers to express your sympathy and honor Rose T's life. It was noted by Orlando Sentinel on January 21st, 2018 that Harry Crocker Rev Wallace died in Holly Hill, Florida. Wallace was 91 years old and was born in Binghamton, NY. Send flowers to share your condolences and honor Harry Crocker Rev's life. It was disclosed by Orlando Sentinel on October 31st, 2017 that Virginia Dorothy Smith (Schweikart) died in Holly Hill, Florida. Ms. Smith was 95 years old and was born in Girardville, PA. Send flowers to share your condolences and honor Virginia Dorothy's life. It was revealed by Orlando Sentinel on August 5th, 2016 that Mabel Roberta "Bert" Kunzendorf (Valentiner) died in Holly Hill, Florida. Send flowers to share your condolences and honor Mabel Roberta "Bert"'s life. It was written by Ocala Star Banner on June 8th, 2015 that Bernard A "Bernie" Roy passed on in Holly Hill, Florida. Roy was 86 years old. Send flowers to express your sorrow and honor Bernard A "Bernie"'s life. It was noted on October 22nd, 2014 that Karen C King (Skilton) passed away in Holly Hill, Florida. Ms. King was 59 years old and was born in Buffalo, NY. Send flowers to express your sympathy and honor Karen C's life. It was reported on August 6th, 2014 that James S "Jim" Traver perished in Holly Hill, Florida. Traver was 83 years old and was born in Jacksonville, IL. Send flowers to express your sympathy and honor James S "Jim"'s life. It was revealed on June 15th, 2014 that Mary Anne Gorman (Wells) perished in Holly Hill, Florida. Ms. Gorman was 66 years old and was born in Martinsville, VA. Send flowers to express your sorrow and honor Mary Anne's life. It was noted on April 18th, 2014 that Frederick W Jr "Fred" Elliott perished in Holly Hill, Florida. Elliott was 81 years old and was born in Gardner, MA. Send flowers to express your sorrow and honor Frederick W Jr "Fred"'s life. 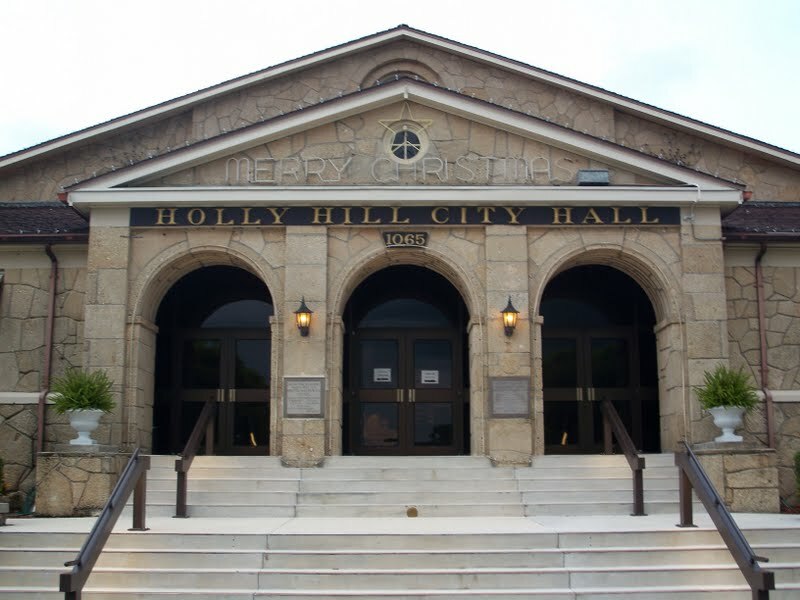 The official website for the city of Holly Hill is https://www.hollyhillfl.org. ARRANGEMENTS: Funeral service from Elliott ... Sergeant Murphy for 30 years. HOLLY HILL, Fla. Robert J. Coyle, 67, of Walker Avenue, passed away Tuesday, Sept. 14, 2010, at the Florida Hospital Memorial Medical Center, in Orlando. We work with local florists and flower shops to offer same day delivery. You will find budget sympathy flowers in Holly Hill here. Our funeral flowers are cheap in price but not in value.